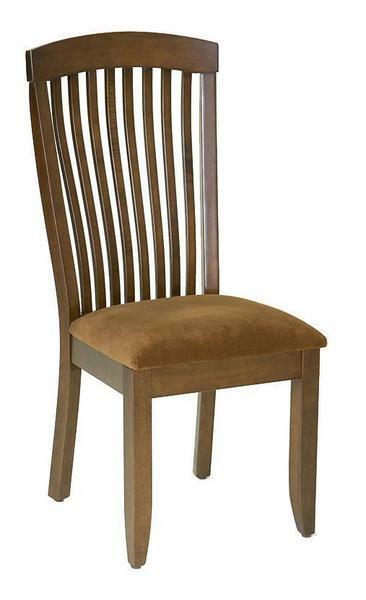 The Empire Shaker Dining Room Chair is a contemporary twist on the traditional Amish style. With classic slats, from seat to crown, this contemporary dining chair provides the best in stability, and with 100% hardwood construction it's made to last generations. The Empire dining room chair is built to order just for you so you can choose your wood, stain, finish and fabric for your seat cushion. Available hardwoods include Oak, Maple, Brown Maple, Cherry, Hickory, and Quarter Sawn White Oak. With any questions or to place an order, give us a call at 1-866-272-6773 or stop by our store in Florida.